With the success of White Night Melbourne still vivid in the minds of residents and visitors, the City of Melbourne has announced another community festival to keep Melbourne on its toes. 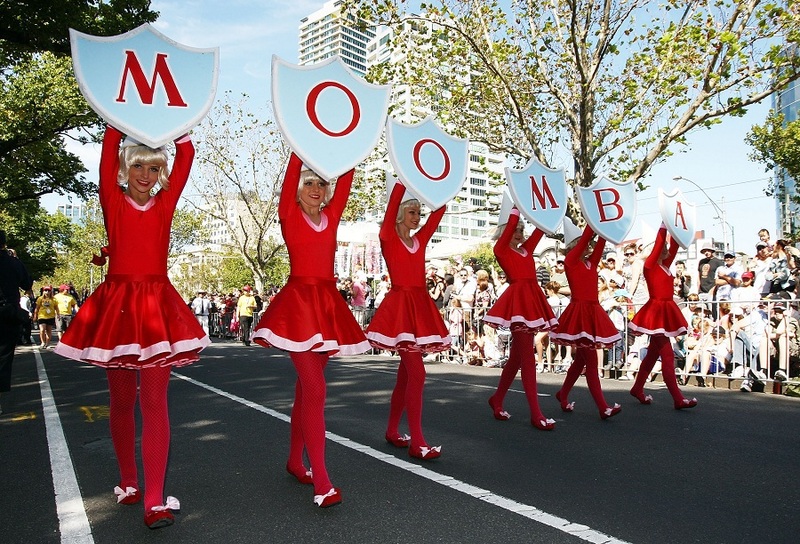 I caught up with the City of Melbourne to get the inside scoop on what to expect from Moomba this year. 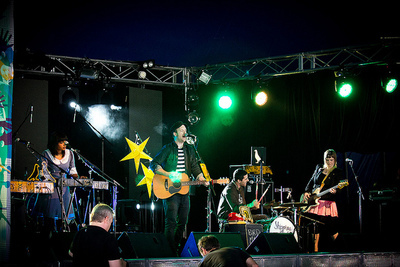 This homegrown festival is back in 2013 with more reasons to spend a long weekend in Melbourne according to Lord Mayor Robert Doyle, "The Moomba program continues to evolve over its 59 year history, offering a diverse program of high quality free entertainment across the weekend. Moomba's rich history and important connection with the community is what makes it unique to Melbourne and a much-loved part of the city's cultural identity". For visitors unfamiliar with Moomba, think Chingay in Singapore but Melbourne style. The aim of Moomba 2013 is to celebrate Melbourne's culture, community and the arts, paying tribute to all those that contribute to the city's unique cultural character. 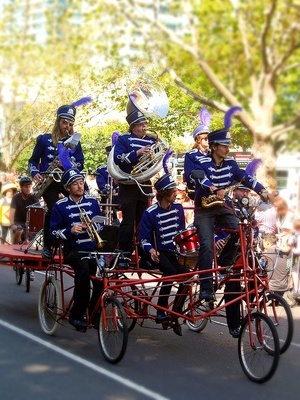 Residents and visitors who become Moomba goers can expect a packed events program featuring more than 80 local acts with more than 110 performances and 50 activities across the weekend of 8 to 11 March 2013, in addition to the fun and colour of the Moomba Parade with its floats and performers. According to Lord Mayor Robert Doyle, last year's event "attracted 1.2 million people, generating AUD48.2 million in economic value to the city...This year's event offers the chance to build lasting Melbourne memories and spend time with friends and family, enjoying a great long weekend of quality free entertainment." With a program designed to entertain and delight audiences of all ages and tastes, there will be lots to see and do with the family and friends. 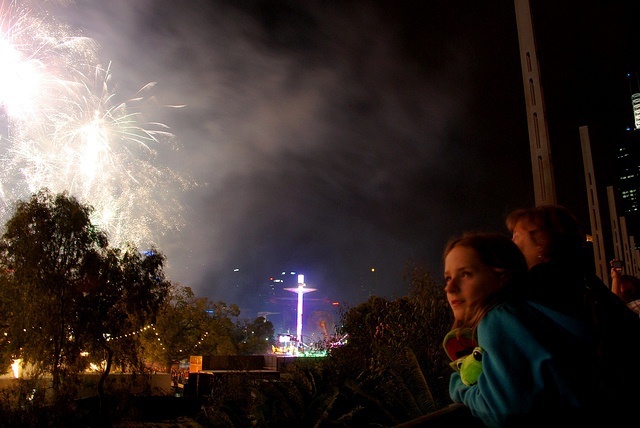 Moomba 2013 will honour the courage and community spirit and celebrate the contribution of all community and emergency service organisations to the Victorian community. 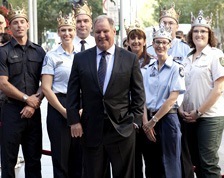 Thus it makes perfect sense that this year's royalty is drawn from 7 community and emergency organisations, including Victoria Police, Victorian State Emergency Service, Country Fire Authority, Ambulance Victoria, Melbourne Fire Brigade, Department of Sustainability & Environment and Salvation Army. Those who have been chosen to stand on behalf of their organisation and all the staff and volunteers whose commitment is embodied in their respective uniforms. 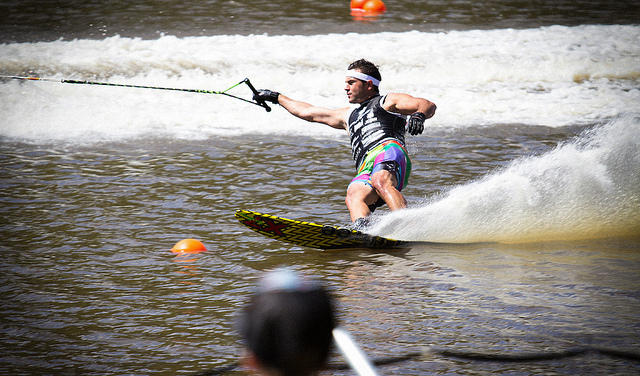 Some of the world champions and world record holders in water sports from around the world will gather to compete in a range of categories including the Moomba Masters, Jump, Big Dawg and Wakeboarding. Keep your eyes and camera peeled for some amazing stunts and tricks and residents can show their support for Aussie competitors including Joshua Briant, Jacinta Carroll and Tim Bradstreet. The festival kicks off with a special free concert worthy of the opening slot of this iconic community festival. Specially commissioned for the festival and performed by celebrated Melbourne artists, the concert is designed to be a wild extravaganza of Circus Sirens, Backroom Ballerinas, Hula Hoop Princesses, Bollywood Love Gods, Sideshow Darlings, Swinging Songs and Disco Queens. This year's opening night event also features a cabaret performance from multi-award winning performers Finucane & Smith. 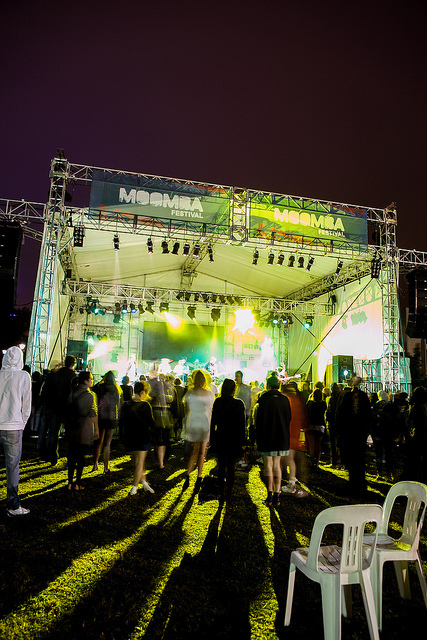 Some of the hottest emerging and established talent in Australia will be featured in the 2013 Moomba Music program to the joy of music lovers. 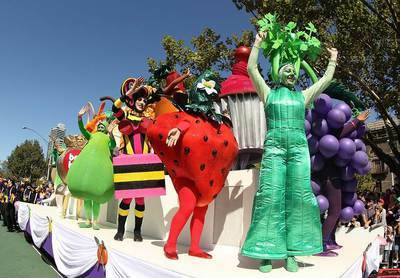 The Cultural Quarter and Beats Stage offers performances to suit a range of tastes. Ball Park Music, Bob Evans, Dubmarine, Kasey Chambers and Electric Empire will be some of the key acts on the main stage. Kids can rejoice even more with this year's Moomba kids program. 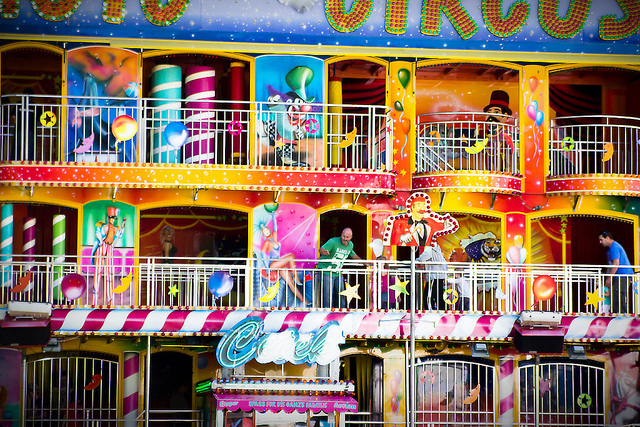 The highlight is a special kids arena with tent and stage shows including Itchy Scabs, Cha Cha Sam and the famous Ashton Circus, Australia's oldest circus family. There will also be various workshops and activities over the weekend, including song writing workshops, puppet and mask making and food and circus workshops to keep the little ones well entertained. 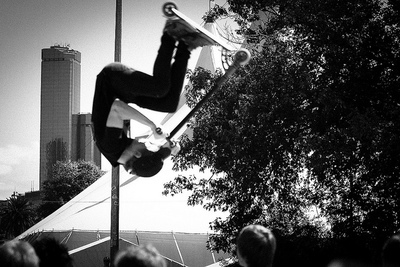 Moomba 2013 features a new look Youth Zone packed with fun activities for kids and teenagers. A first for 2013 will be a multi-programed space that doubles up as a gaming area and a beats stage, opened on Friday, Saturday and Sunday. The Gaming Area featuring console pods with interactive screens for people to play together will operate from 11am to 5pm. 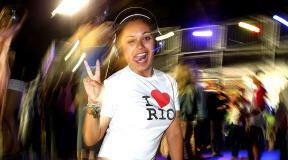 The Beats Stage with wireless headsets to tune into sounds from local DJs will broadcast from 6pm to 11pm. The skate park features Scoot, BMX and Skate competitions offering big prize money for contestants. 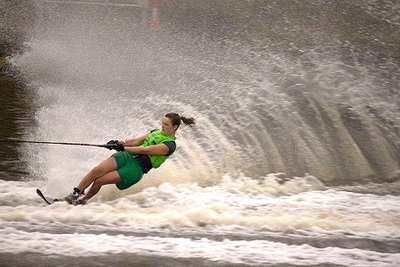 Spectators can also get involved and test their skills in participation workshops. The Lipton Iced Tea Skate/Scoot/BMX will run from 11am to 8pm on Saturday, Sunday and Monday. 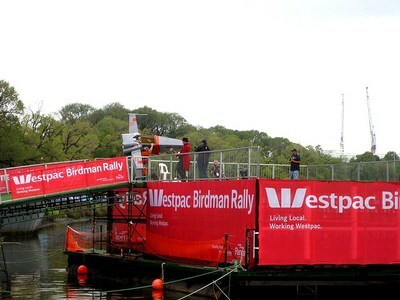 The Birdman Rally is a much-loved Moomba tradition. 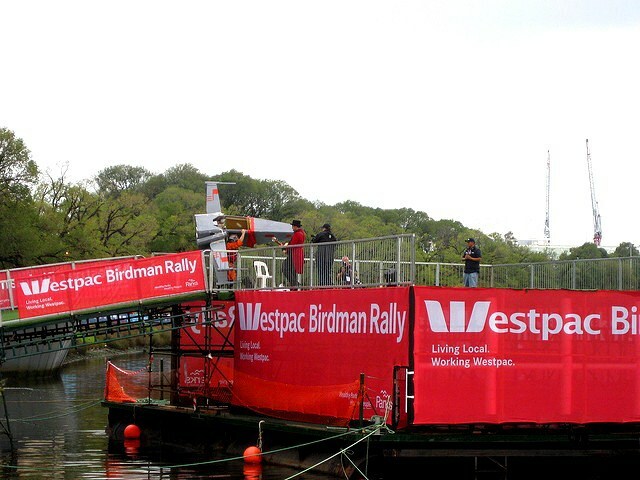 This year's competition will feature 12 competitors divided into 'Hawk' and 'Penguin' categories to see who can glide the furthest in order to raise money for charity. 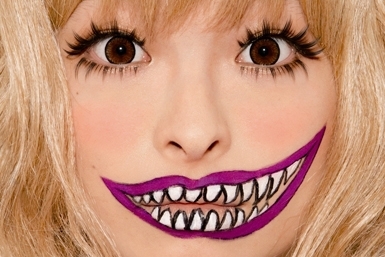 Antics, thrills and spills ensure a hilarious afternoon of viewing. 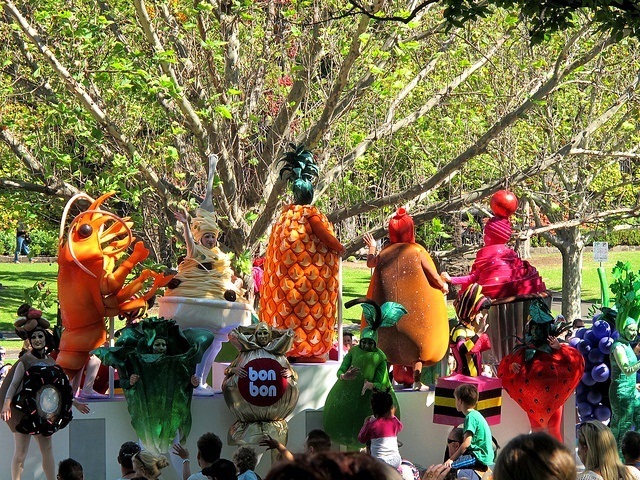 More than 100,000 people lined the boulevard along St Kilda Road to watch the Parade celebrating Melbourne's food culture in 2012. 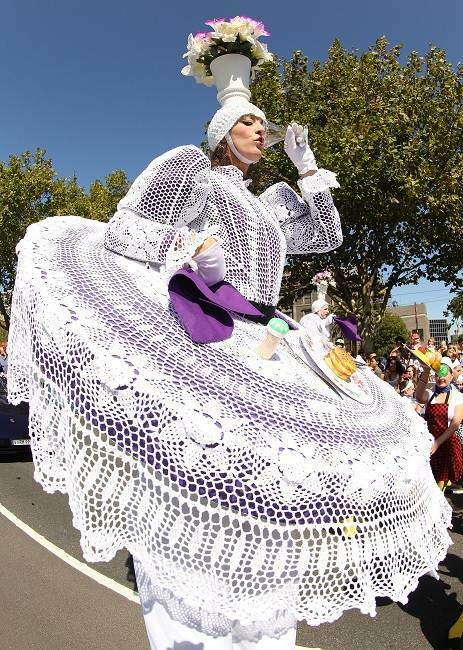 This year's Parade is celebrating some of the other prominent and valuable aspects of Melbourne society, including music, literature, media, the arts, community groups and volunteers. Spectators can expect to see 7 floats led by the Moomba royalty and accompanied by marching bands, street performers, dancers and community groups. The community and emergency service organisations will also be well represented in the parade, with the Royal float leading the Parade for the first ever time, complemented with emergency service representatives proudly marching in uniform. 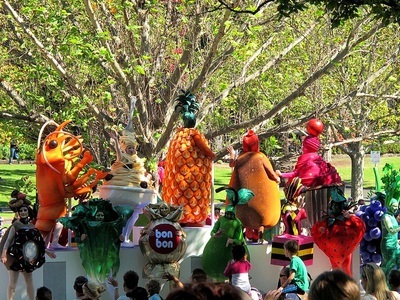 The Moomba Parade remains on the St Kilda Road route, following the success of the 2012 Parade at that location. 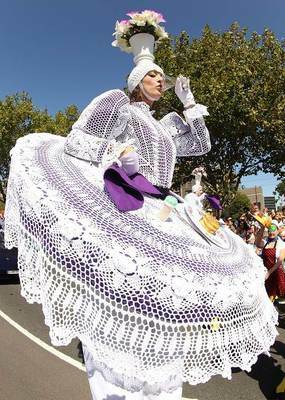 It runs from the Shrine of Remembrance to the Moomba festival site at Birrarung Marr and Alexandra Gardens. SBS Pop Asia takes over the Gaming Area in a special Closing Day event. Expect Gangnam Style meets Just Dance when Jamaica dela Cruz and the crew present the latest K-Pop, J-Pop and C-Pop hits, live in the Youth Zone from midday onwards. Nicky Bomba promises an energetic close to Moomba 2013. 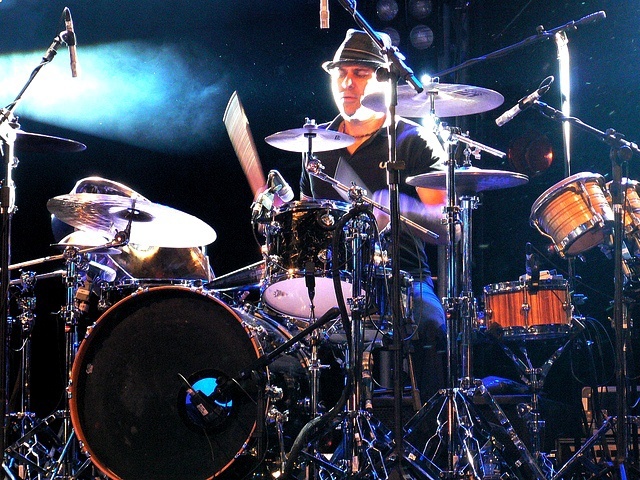 With his 15 person ensemble of drummers, percussionists and bongo players, he will be treating the audience to an evening and closing concert of island music, reggae and dancehall.